The Korean Zombie speaks and answers questions from the UG and Sherdog. Suga is sweet and so is this amazing TapouT shirt which Rashad ‘Suga’ Evans helped design as his signature tee. Yes, it’s a gi on a shirt. Check out the RVCA BJ Penn Gi T-Shirt! Craig Clement from Hayabusa Fightwear joins us for another installment of HOTSEAT. Here’s a look at the NEW Rupture Clothing RPTS Rashguards. Tri Coasta does it again with another intricately designed, Tri Coasta Natural Selection T-Shirt. Oh, and did I mention there are only 100 of these in circulation? We all know that ShockDoctor is known for their superior boil and bite mouthguards, so we could only imagine the quality of a ShockDoctor custom mouthguard. 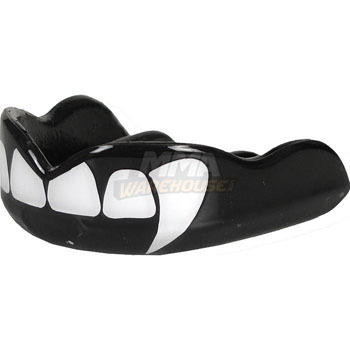 Available June 1st, the all new… ShockDoctor Custom Mouthguard. Retailing at $149.99, this may be the next best mouthguard to hit the market. Another EXCLUSIVE shirt from Silver Star — only 150 of these Silver Star Jon Bones Jones Radiance T-Shirts in circulation!